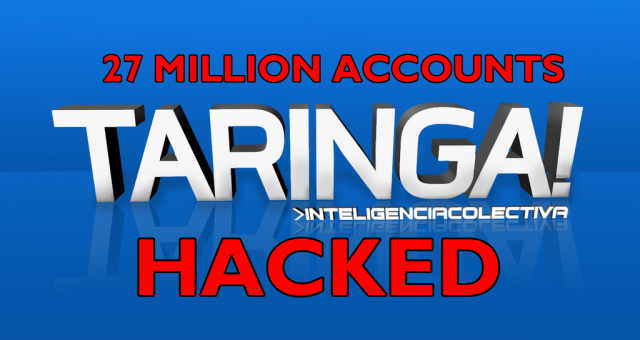 The Taringa hack is actually one of the biggest leaks of the year with 27 million weakly hashed passwords breached, but it’s not often covered in the Western media with it being a Latin American site (something like Reddit). The leak happened in August and it seems like the hackers were able to brute force around 95% of the account passwords fairly quickly with Taringa using an outdated and flawing hashing algorithm – md5. Latin American social site Taringa, often called ‘Latin America’s Reddit’, has suffered a massive breach of user data. Login details for nearly all of the site’s users were compromised. The social site had instituted a system in 2015 to pay users for content production using Bitcoin. The site partnered with Xapo to create digital wallets for content producers, and then began funding them with Bitcoin for participation. Wallet balances of the individual users will likely be low, but the massive hack of data may well allow access to those wallets. With prices having increased dramatically since 2015, the original payments that remained intact are likely of some substantial value. It’s a pretty interesting site to target too as it has cryptocurrency infrastructure which allows users to tip each with Bitcoins (something like Reddit Gold). Taringa was using an aging encryption system for passwords called MD5. The hackers were able to crack 95% of the 27 mln passwords within just a few days. Taringa has assured customers that wallet addresses were not compromised, though the surety of the promise remains in question. Users should move Bitcoin balances into other wallets for protection, especially if they had used the same password for their wallet as for their Taringa account, a common practice. There have of course been some other massive leaks this year, which are still in the press like the Equifax Data Breach and the Time Warner Hack. Taringa did take the right measures and reset all user passwords and promised to update the encryption method used to store passwords to something more robust (which I hope they did actually carry out).